Editor’s note: This is the fifth in a five-part series comparing a range of cars during what can be prime season for car buyers. WASHINGTON — If your budget is big enough, compromises are no longer necessary when picking a ride. Multiple brands now offer to combine the performance of a two-door sports car — amazingly — with the cargo space and bad-weather capabilities of a four-wheel drive truck. Whether end-of-year car shopping has taken you upscale, or you’d just like to gawk at some amazing machines, we’re comparing three SUVs-on-steroids — all from the horsepower-enablers under the Fiat Chrysler umbrella: the Maserati Levante GTS, Alfa Romeo Stelvio Quadrifoglio, and Jeep Grand Cherokee Trackhawk. 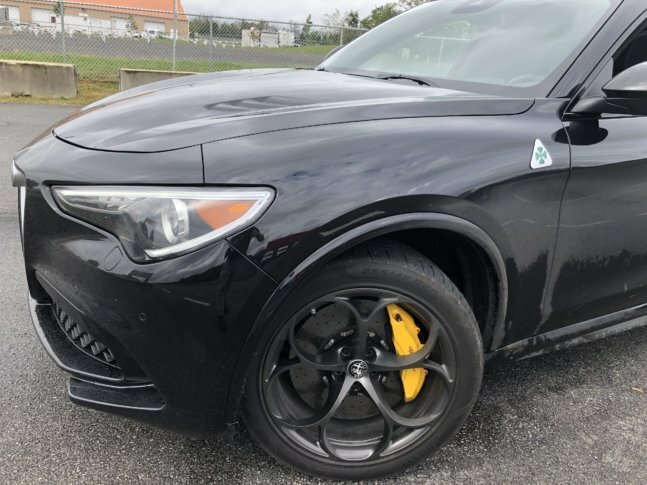 Pros: “It is the fastest SUV on the planet,” says Alfa Romeo’s Berj Alexanian, citing its performance at Germany’s Nürburgring race track. “It’s for the person that maybe had a two-door sports car and now they’ve got a family.” The interior, with the same mix of Alcantara and carbon fiber accents found in high-end sports cars, lets you know immediately that this machine is ready for some shenanigans. Cons: This dialed-in, track focused SUV could be a bit harsh for those who want more comfort in their daily driver. Survivability from a Beltway pothole impact: unknown.